Despite the tsunami of information aimed at debut authors, there are plenty of mid-career writers who find themselves agentless, publisher-free and scrabbling for grocery money. I did. 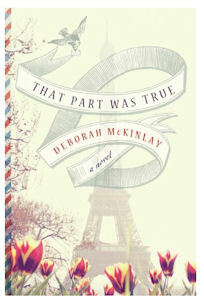 BBC Films, the U.K. public broadcaster’s standalone film-making unit, has optioned the rights to ‘That Part Was True’. If in the UK, please click here to download. I was born in New Zealand, but have lived in many countries. I am fairly settled now, I think, in England. Well, the most helpful quality, from a writing point of view, is that I am quite self-motivated. I enjoy to work alone. I am impatient. This is not a good thing in the publishing world, and no use at all if you’re dealing with small children. I like different things at different times, but a friend’s father said to me (years ago), ‘You’ve got to keep putting one foot in front of the other.’. And I have reminded myself of that often. I like a lot of places. I love the great cities like New York, London, Paris and Barcelona, but I am happiest when I can hear the ocean. Like most writers I read a lot as a child. The curiosity about stringing words together probably came from there. I began submitting articles to magazines as a way of supplementing my income in my twenties. I decided to try to work at it full-time when I won a couple of writing competitions. That gave my confidence an enormous boost. When I am not writing I feel as though something is missing. I like both women’s literary fiction and comedy. I showed an idea to an agent who encouraged me to pursue it. My own desire to get better is the greatest influence on my work. I used to struggle with over-analysis of my work (which is what I think writer’s block is) when I had more time to do it. Nowadays I just get on with it whenever I get the chance. The View From Here tells the story of a dying woman’s reflection on her own past and the way that events from her youth have impacted on her life. The publisher (Soho Press) came up with the title. Frances is a apparently a mature, contented woman, living a responsible life. In her youth, however, she was much more aimless, reckless even. In telling her story she examines the way these two personas overlap. The story takes place in two settings (England in the 1990s and Mexico in the 1970s) I wrote each section separately. It grew from the seed of a small incident in my own life. I met some people in a restaurant years ago who invited me to stay with them. I did not go, but asked myself later – What if? I think that question is the beginning to any story. At any US bookstore or online from any book retailer. Perhaps that everything is relative. I particularly like modern American writers, including Hemingway, Carson McCullers, Updike and Roth. I hope so Have you started another book yet? Yes, I am working on a comedy. I just finished Bill Bryson‘s ‘A Walk in The Woods‘ I loved it. Stomp about for a bit, indulge in some self-pity, shrug it off and start over. 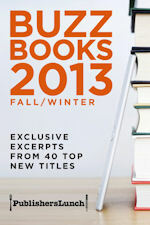 I am very interested in the way some new writers are by-passing traditional publishing using e-books. No, but in ‘Writing Down the Bones‘ Nathalie Goldberg asks the question: “If I weren’t writing what else would I be doing” (paraphrased). I think the way you answer that question will tell you whether you ought to keep at it. Go for excellence, sweetie. It’s not a crowded field. If it can’t apologize or heat beans, don’t marry it. Sweetie, don’t pick out lovers or lipsticks in a dim light. If you recognize these bon mots, chances are you follow Your Aunt Lola on Twitter or Facebook. Her piercing witticisms offer the kind of pointed advice you’d like to get from an experienced, much older aunt. But alas, Aunt Lola isn’t really your aunt; she is a fictional character created especially for social media by British writer Deborah McKinlay. McKinlay’s new novel, The View from Here, comes out tomorrow (but can be ordered today). Although her novel isn’t comic, McKinlay has a deft hand with the clever barb. I follow Aunt Lola on Twitter and am a Facebook friend, (and so should you) and notice that she’s an active tweeter. Twitter suits her best, she says, because she loves jokes and one-liners and Twitter encourages that kind of rapid-fire communication. The world of publishing is changing, McKinlay says, and she believes that social media are an important tool for today’s authors. “It’s important to be prepared to give some of your work away so that readers have the chance to get to know you before they invest time and money in you,” she says. McKinlay says Aunt Lola’s lines are all original but some are heavily influenced by old films and writers such as Anita Loose and Garrison Keillor. The story line pivots around a woman whose life is unraveling, which triggers an examination of a period in her past when she was briefly the mistress of a married man while staying with him, his wife and their rich and glamorous friends in a mansion in Mexico. While it is not a comedy, McKinlay says some of the characters are witty and reflect some of Aunt Lola’s sharpness. McKinlay tweets and writes from her home in the English countryside. Almost 50, she has a young son, and her life there keeps her busy. Any advice for mid-life women? 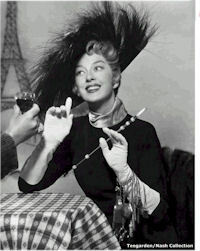 “I wouldn’t say that I am just hitting my stride, but I do think that age can be terribly liberating. I am much more self-confident, while at the same time less brash, than I was at 30. I went back to Cambridge to study Psychology and had a child in my forties, and I think I am only just beginning to grasp the notion that life is a work in constant progress. Follow Aunt Lola on Twitter, friend her on Facebook and while you’re at it, pick up the new novel , The View From Here, on Amazon or at your local bookstore. I can’t wait to read it.